Home>New Songs>Gunna Songs> Gunna, Moneybagg Yo & Wheezy Got "Vibes In LA"
Young Thug doesn't exactly push or co-sign new artists very often. The few times we've seen him do it, it's likely because the artist is a friend from Atlanta. However, don't let that fool you-- case in point, Gunna. The rapper has been basically coming up, slowly, in Thugger's shadow, as a longtime friend of Young Thug and an artist himself, however, he's got the skillset to be considered an equal rapping partner to Thug. Gunna, for his part, has also kept a very low profile over the course of his career thus far, staying out of the media and press spotlight, although he did speak to us for a phone interview back in February. As Thug shifts his focus to his label ever so slightly, YSL Records, we are starting to see a bit more of a focus, or at least, a bit more of a musical output and showing from Gunna (who is indeed signed to the imprint). In May, Gunna dropped his Drip Season 2 mixtape, to very little fanfare, but a very dope and thus underrated release (check it out here). He followed that up with a music video for "Japan," one of the dopest tracks off the mixtape (!). Gunna's made a very quick return, as he's already plotting on the third instalment of Drip Season, proving he's kicking things into high gear as we enter the last quarter of 2k17. Leading the anticipation for Drip Season 3 is "Vibes in LA" featuring Moneybagg Yo and production from Thug's go-to and trusted collaborator B. Wheezy. Wheezy provides a minimal backing for Moneybagg and Gunna, the latter of whom raps with precision using a whisper-like cadence. Moneybagg Yo recently starred in our new season of On The Come Up, get familiar with the buzzing rapper below and stay tuned for the Gunna glo'up. 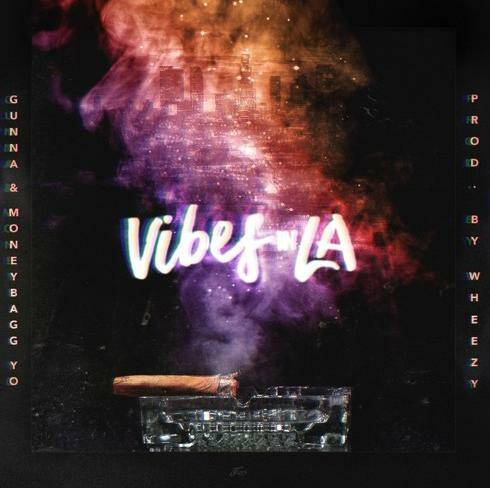 SONGS Gunna, Moneybagg Yo & Wheezy Got "Vibes In LA"